Nucl. Phys. At. Energy 2016, volume 17, issue 3, pages 250-258. Received: 24.05.2016; Accepted: 19.10.2016; Published online: 13.12.2016. Abstract: The description of calculation scheme of fuel assembly for preparation of few-group characteristics is considered with help of Serpent code. This code uses the Monte-Carlo method and energy continuous microscopic data libraries. Serpent code is devoted for calculation of fuel assembly characteristics, burnup calculations and preparation of few-group homogenized macroscopic cross-sections. The results of verification simulations in comparison with other codes (WIMS, HELIOS, NESSEL etc. ), which are used for neutron-physical analysis of VVER type fuel, are presented. Keywords: fuel assembly, VVER-1000, Monte Carlo method, reactor calculation, Serpent, MCNP, SCALE, WIMSD5B. 2. J.R. Askew, F.J. Fayes, P.B. Kemshell. A general description of the lattice Code WIMS. 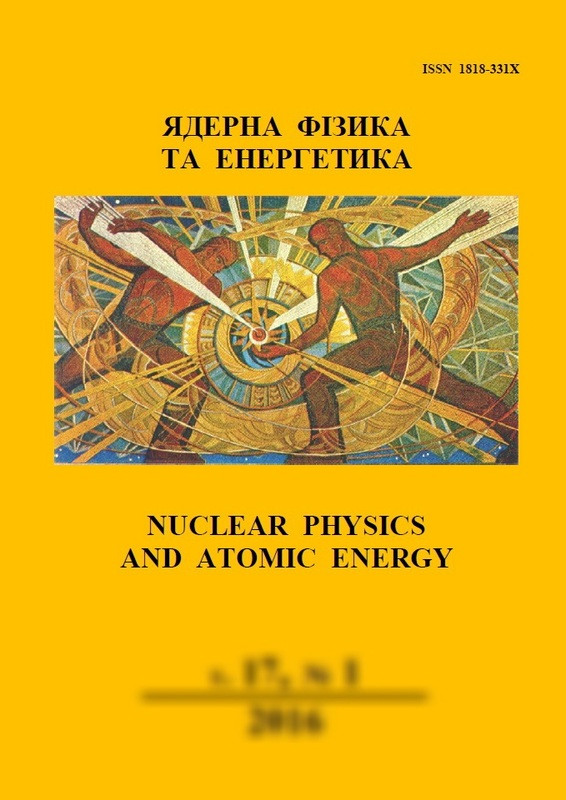 Journal of British Nuclear Energy Society 5(1) (1966) 564. 6. V.I. Gulik, V.M. Pavlovych, A.H. Tkaczyk. Using SERPENT Monte Carlo and Burnup code to model Traveling Wave Reactors (TWR). Proc. of Joint Int. Conf. on Supercomputing in Nuclear Applications & Monte Carlo (SNA&MC2013) (Paris, France, 27 - 31 Oct., 2013). 17. Benchmark calculations for VVER-1000 fuel assemblies using uranium or MOX fuel: Validation report for FY 1997 (Final report). (2000) 114 p.